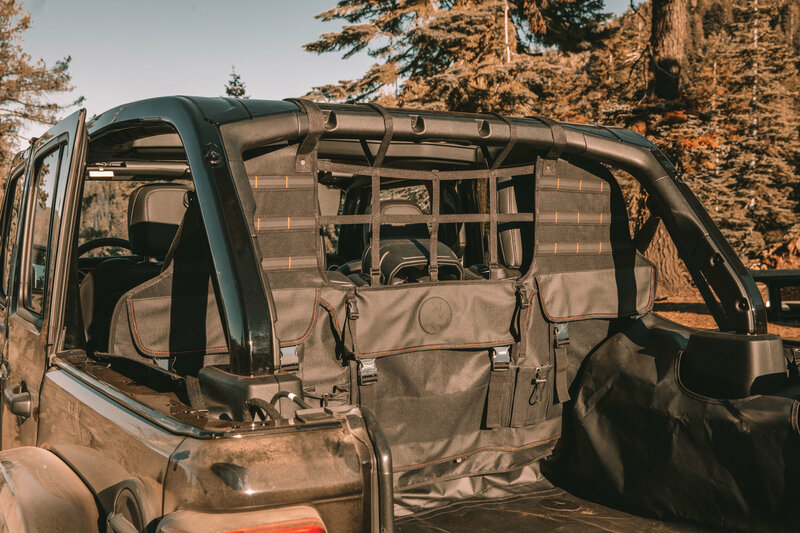 The Sportsman Cargo Divider from XG Cargo is a welcome addition to any Jeep Wrangler JK or JL 4 door Jeep. 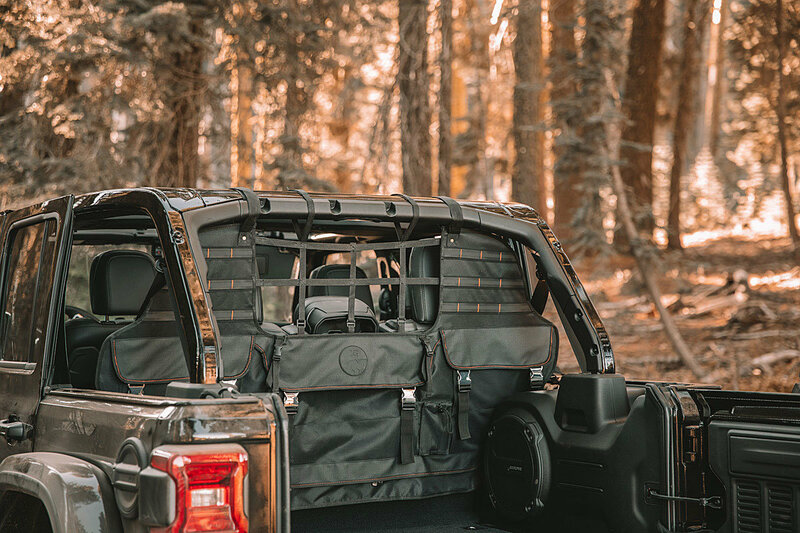 This heavy-duty storage system also doubles as a pet divider that features the removable PETNET window, that will keep your trusty companion secure in the cargo area while out on the trail. The Sportsman is made from Bearhyde™ Shell material, which is a high-density 600x600 PVC backed polyester skin that is waterproof and resistant to punctures, mildew and UV fading. 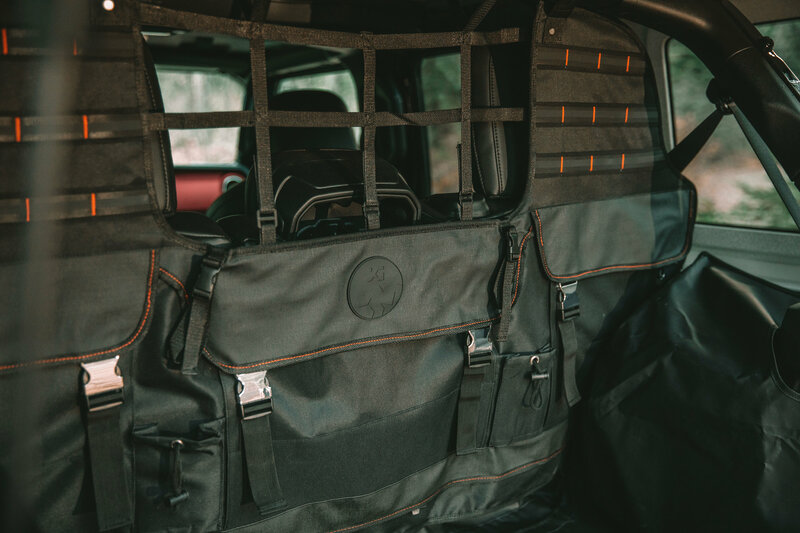 The built in 3 large storage compartments are designed to carry all kinds of gear that you need with you on your adventures, and are secured with metallic hardware. 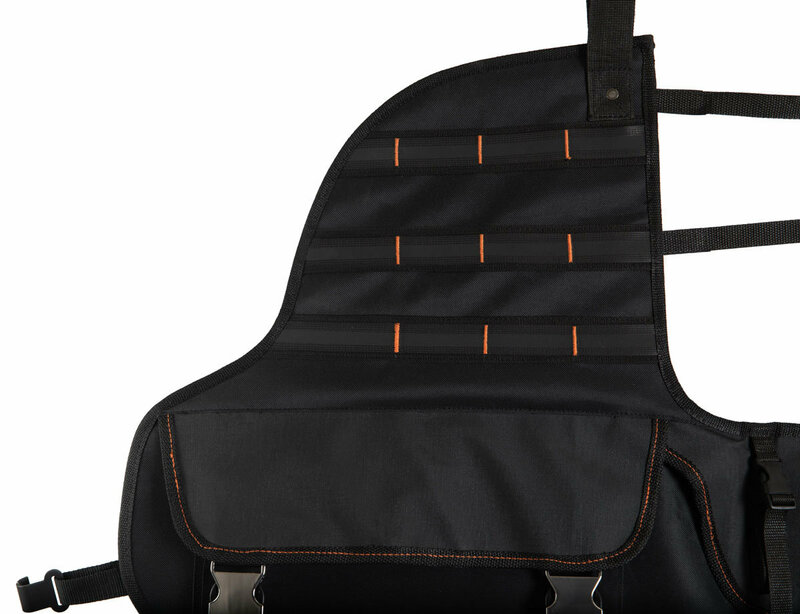 Six rows of MOLLE attachments are included in the pet-proof wings for the ultimate in customization. Two built in compression sleeves are made to carry water bottles or canteens for extra needed hydration. 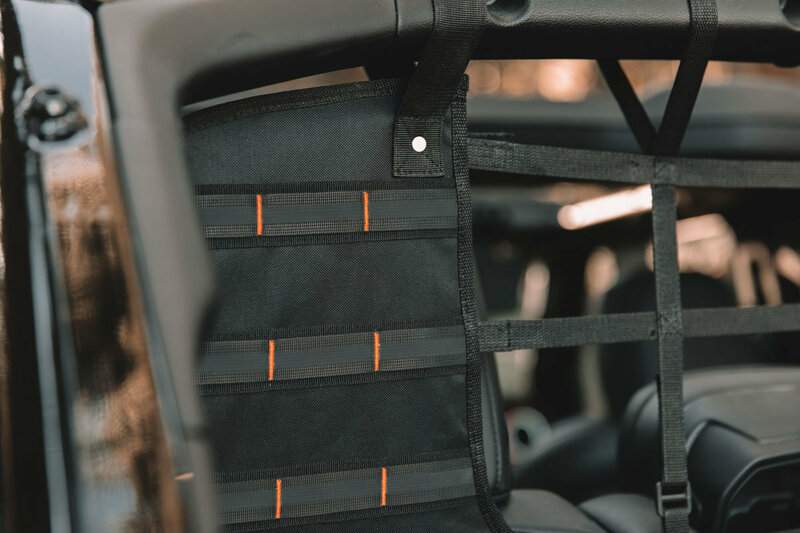 The Sportsman straps easily and quickly to the interior of the vehicle with no drilling or modifications necessary. Complete the cargo system with the optional seamless floor liner which is sold separately. 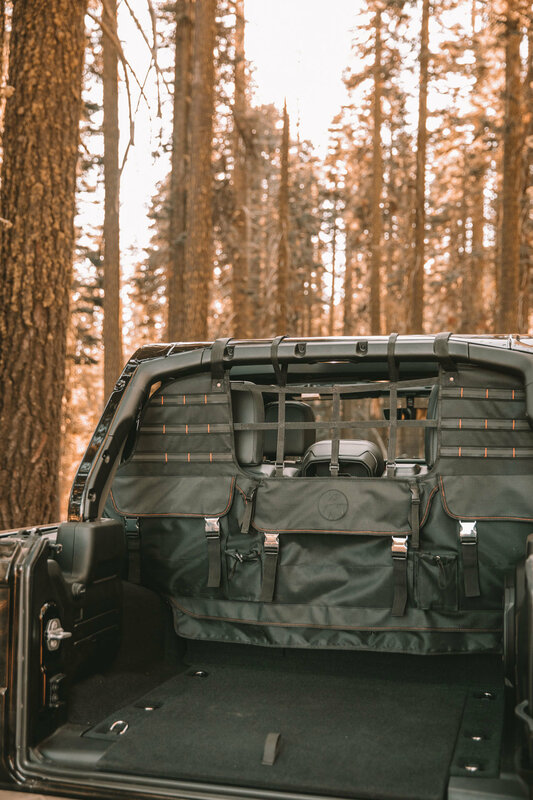 Useful Extra Storage: The Sportsman has numerous compartments to store much needed gear, food, clothing or anything else that you will need while out on the trail. Large storage pockets, canteen sleeves and zippered pockets make this the most versatile storage system available. 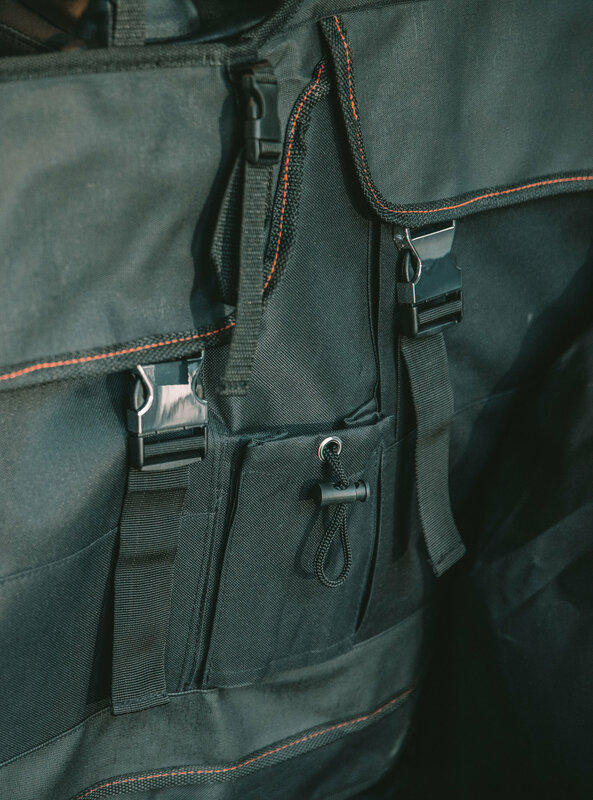 High Quality Construction: Constructed of very strong Bearhyde Shell material, the Sportsman is waterproof, tear proof, UV resistant and is most definitely designed to withstand being out in the elements. 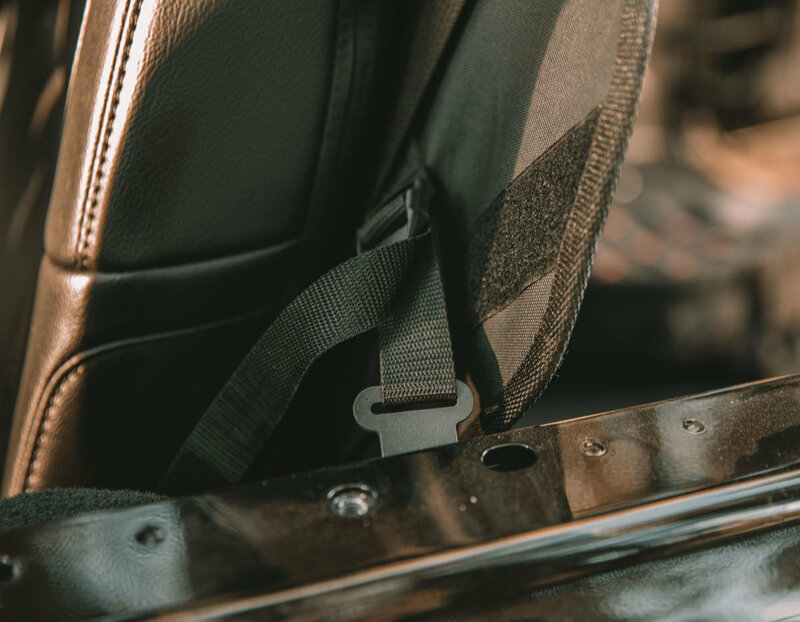 Quick and Simple Installation: Using the Lightning™ Attach mounts, the Sportsman straps to OEM mounting locations in the Wrangler JK or JL Unlimited with no modifications to the Jeep at all. This system sets up in minutes and is ready to go! 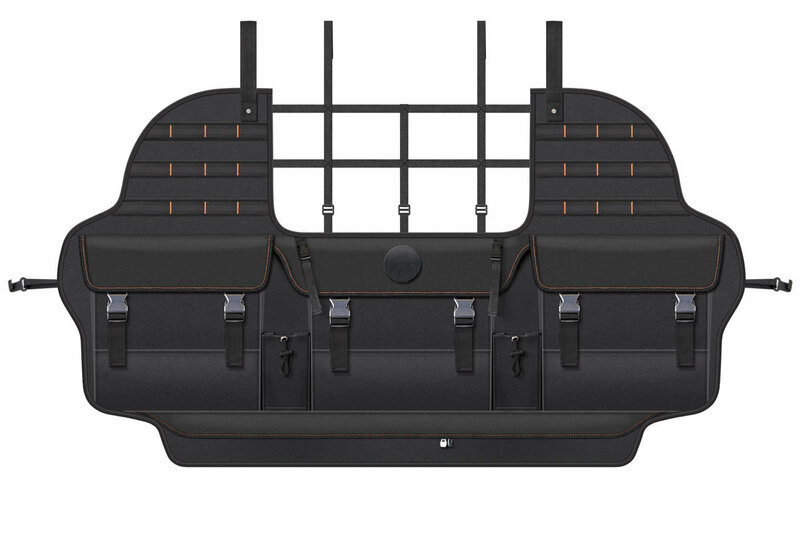 This has a great fit inside my JL wrangler and keeps my large dog in the back. Looks and feels of good quality.